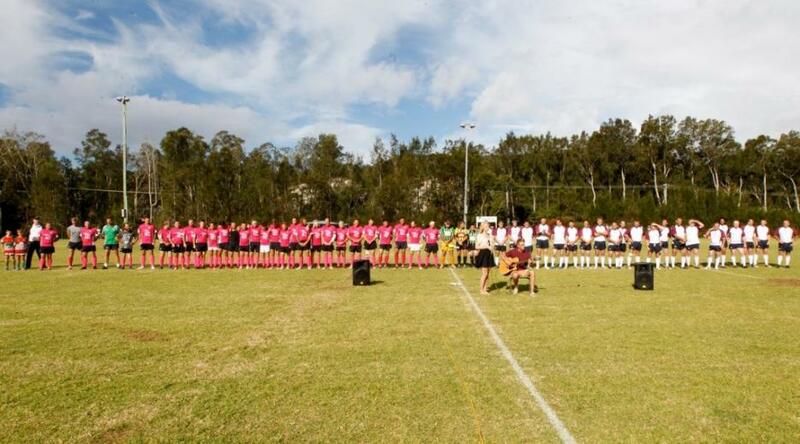 Teams standing for National Anhtem, sung by Emma and accompanied by Jamie, prior to start. Photo by Glenn Nicholls. Legends Of League team. Picture by A J Guesdon. 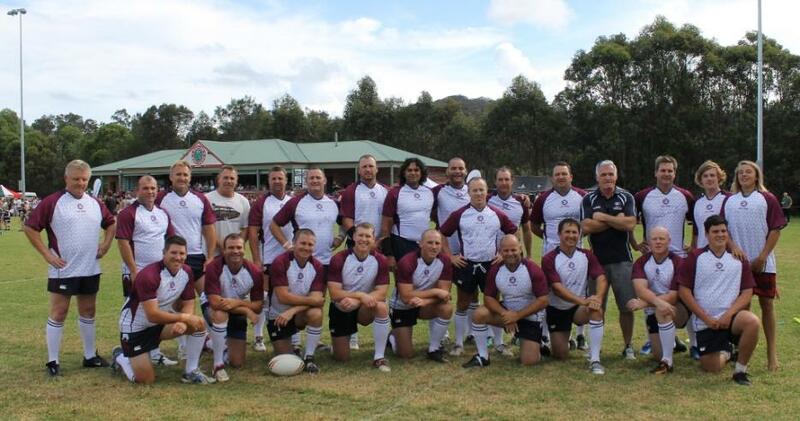 On Saturday February 16th, 2013 at the Avalon Bulldog’s home ground, Hitchcock Park, the Club organised a game between a Team of ex NRL Stars (Legends of League – The LOLs) and a Team of Former and Current Avalon ‘greats’ (The FAGS/CAGS). The day was twofold: a spectacular local ‘season launch’ on the Peninsula for Rugby League in 2013 by the Avalon Junior Rugby League Club and to raise funds for the Sunnyfield Association’s ‘Client Communication Program’ which helps bring the gift of communication to a person with intellectual disability. The pre-match fundraiser was a dinner on Friday evening at the Terrace Restaurant in Newport Arms Hotel where everyone could meet the members of the two teams, hear some great stories and also enter an auction to play on the teams the next day. Gavin Sheen and Chris Hawkins were the winners of the auction. On Saturday afternoon Matt from Manly came to run an ‘NRL Come and Try Junior Clinic’ which began at 1.30 and included exercises for skills building in the game. Matt then showed the children a great new NRL ‘Tackle Bullying’ video which aims to empower students to stand up for themselves and others who are being bullied. The messages in this, such as ‘Stand Up for friends’, ‘Don’t be a bystander’, or ‘Tell a Teacher’ will help remind all that we are here to lift each other up, not tear each other down. NRL stars will be delivering the new anti-bullying message to a record of more than 120,000 students across Australia, New Zealand, Tonga and Samoa as a part of the 2013 Community Carnival. Information regarding a resource kit available to all schools and teachers can be found HERE. 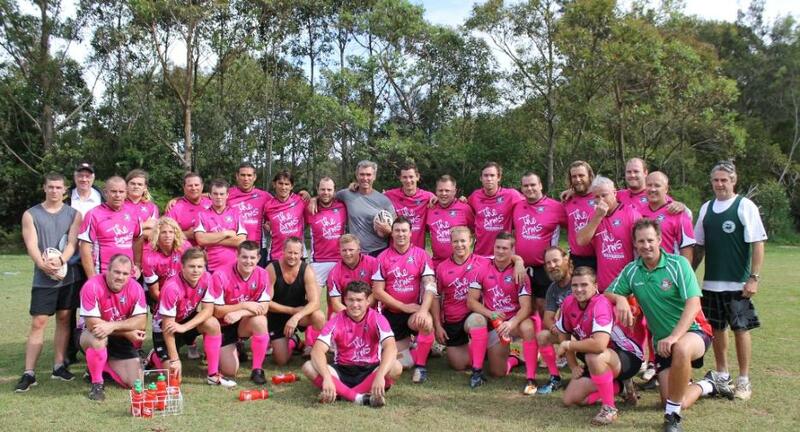 At 3pm a Masters of Rugby League exhibition game between the Narrabeen Sharks and St Mary’s Saints began with men from 35 to 69 taking part. Brian, commentator for the match, mentioned that all players had been drug tested and only traces of Viagra had been found, which apparently is permitted once you’ve achieved Masters status. We spoke to Troy, one of the gentlemen on the St Mary’s team, whow as enjoying being back in Avalon for the afternoon. Troy used to live at Hardbord and grew up on the Northern Beaches. 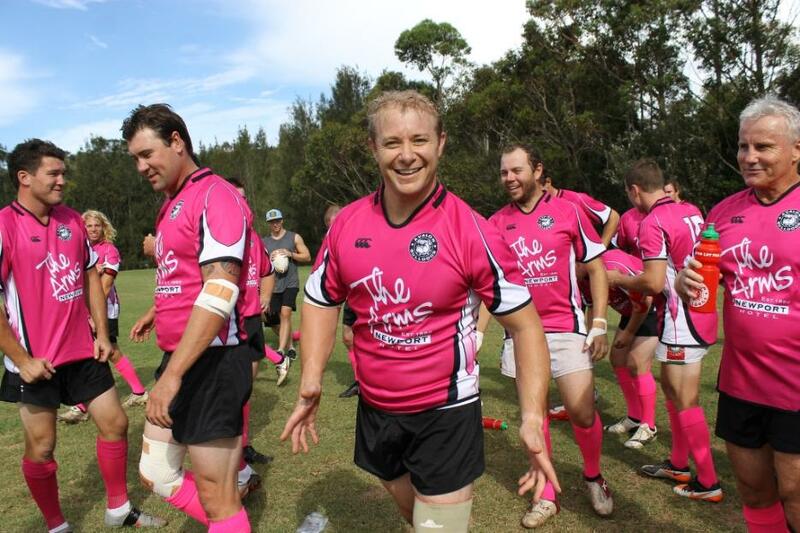 He played for Valley United in 1987 and scored the winning try against Narrabeen. Ex-Manly players Richard Windschuttle (1952) and Rick Chisholm have played on this team. The final score between these gentlemen was ‘nil all’ according to some although we did see some trys, or is that tries, scored……?! Clearly all the gentlemen in these teams revel more in the sport and getting to see each other again then who won what where and when. At 5pm the NRL Legends of League and Former & Current Avalon greats took to the paddock for two bruising, bouncing off each other, I’ll slap you back, sprint… sprint faster, halves. That these gentlemen are so fit and so passionate about the game even years after some have ceased playing professionally is some indication of how much this game is loved here. Although clearly all great mates, with the referee blowing his whistle in a short sharp blast at any player who threw an off-cut remark over his shoulder at an opposing team member, immediately causing the smiles and laughs to break out again, these men played hard for both forty minute halves and a few may be waking to new/old pains this morning. They flew across the field, they flipped over when tackled, they landed hard over the try line. Watching a game of rugby league on the television is only half as exciting as being in the crowd. The crowd itself was well over 2000, all of whom cheered every try by every team. People from one year of age to those who may be termed ‘middling a bit now’ and every generation in between representing the whole of our community were present. The final score for this match was 26 all, which only happened in the last seconds of the game, meaning that Avalon wins, and keeps, the trophy. Imagine not being able to say you’re thirsty, hungry or worse still – you’re in pain! Imagine your frustration, imagine your anger, and imagine your hopelessness. The simple gift of communication is something most people take for granted – whether it be asking for assistance, selecting a meal, or telling someone you love them. People who have an intellectual disability and can’t communicate are arguably the most vulnerable members of our community and this daily struggle can be unimaginably frustrating for them. They often become passive recipients of life. A recent study of the 1500 people supported by Sunnyfield showed up to 75% of these people have a significant communication impairment. Our goal is to be able to help Sunnyfield make a difference for those in need of their services. The jerseys the players wore have been signed by their respective wearers and will be auctioned by the Club soon. We’ll keep you posted on how to get your hands on one. Craig Goozee, Anthony Johnson, Dave Willan, Erin Argent, Glen Bourne, Jack Webster, James Johnson, Jason Oldfield, Jed Cram, Jeff Loadsman, Jules La Torraca, Kurt Stevenson, Luke Griffiths, Luke Johnson, Mal Golden, Matt Griffiths, Nathan Johnson, Nick Williamson, Paul Malcom, Ryan Evens, Sam Blundell, Sam Harris (captain), Tim Goozee, Tim Parker, Zane Westwood. Tony Butterfield (Coach), Brendan Magnus, Craig Hancock, Craig Wilson, David Peachey, Gene Ngamu, Greg Florimo, Hassan Saleh, Jack Elsegood, Jamie Feeney, Jamie Goddard, Jason Death, Jason Ferris, Josh Stuart, Matt Cross, Matt Seers, Nathan Long, Nigel Roy, Richard Smith, Richard Villasanti, Willie Leyshon, Cliff Lyons. Our photographs for the day will be given to Club President Michael Birtwhistle by Tuesday for those who want copies of anything and there is a sample of these as this week’s Pictorial. We’d like to thank Friendly (Brian Friend) for Friday Night Photos, Glenn Nicholl’s for supporting Pittwater Online News by taking some great shots that will be part of those given to Mr Birtwhistle for the Avalon Bulldogs, all players and their families, and Michael Mannington who has again spent his Saturday evening loading up a Public Gallery. Former & Current Avalon Greats team. Picture by A J Guesdon. Jules La Torraca fooling around after the Former & Current Avalon Greats team shot; told you I'd run it!. Picture by A J Guesdon. 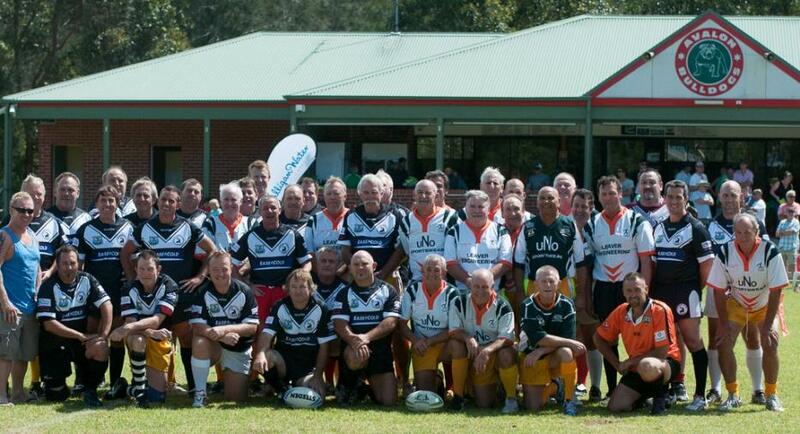 Narrabeen Sharks Masters and St Mary's Saints Masters. Photo by Michael Mannington. Pictures by Glenn Nicholls, Brian Friend, Michael Mannington and A J Guesdon, 2013.